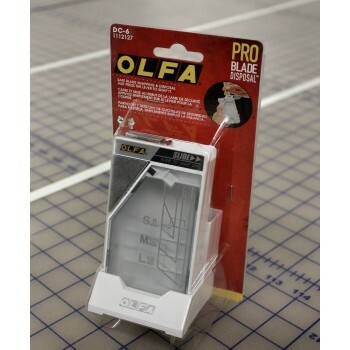 Safely and easily dispose of your snap off blades. 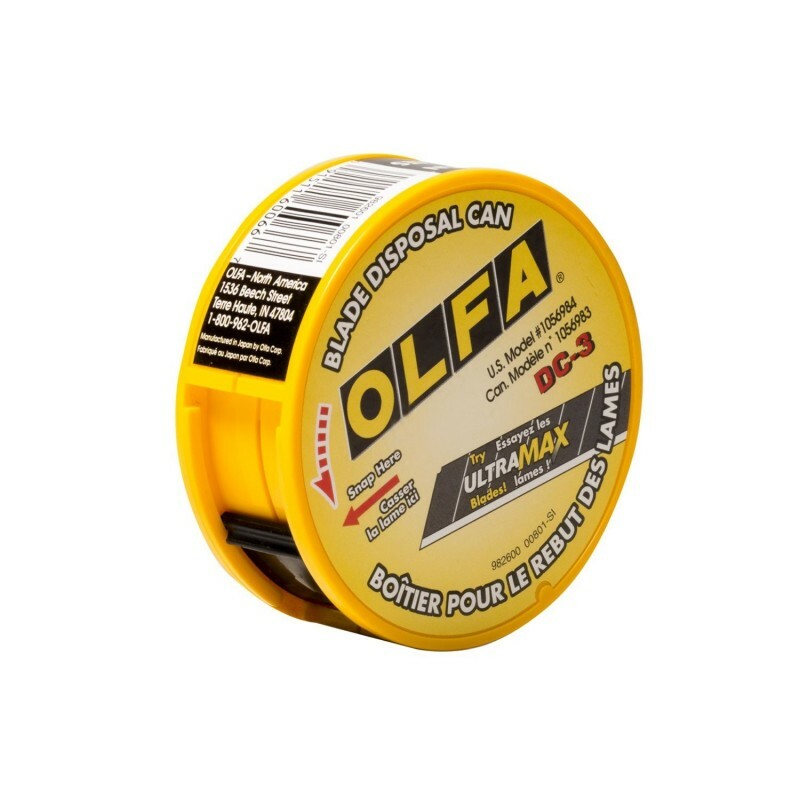 This OLFA blade disposal can has a tambour door that’s secure enough to stay shut, convenient enough to open when you’re ready to use it. 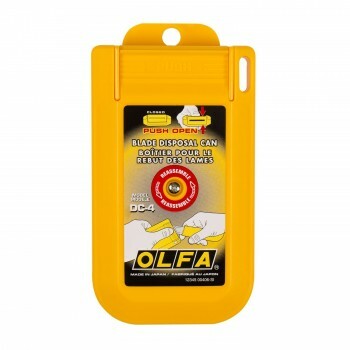 The pocket-sized can fits into a desk drawer, toolbox, or workstation and is equally at home at construction worksites and art departments.